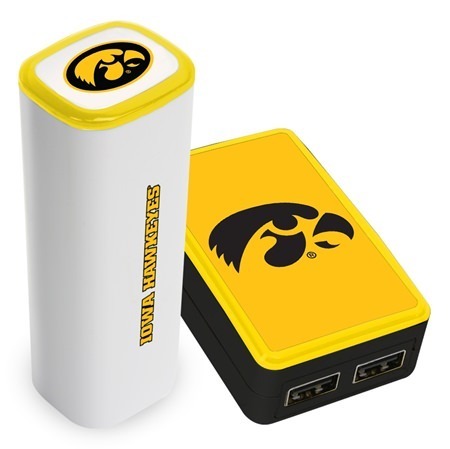 You’ll get charged up when you see this great value charging set which includes the Iowa Hawkeyes WP-200X classic dual port wall charger and the 2200JX mobile charger. Easily keep your devices like smartphones juiced up to meet the demands of the day. 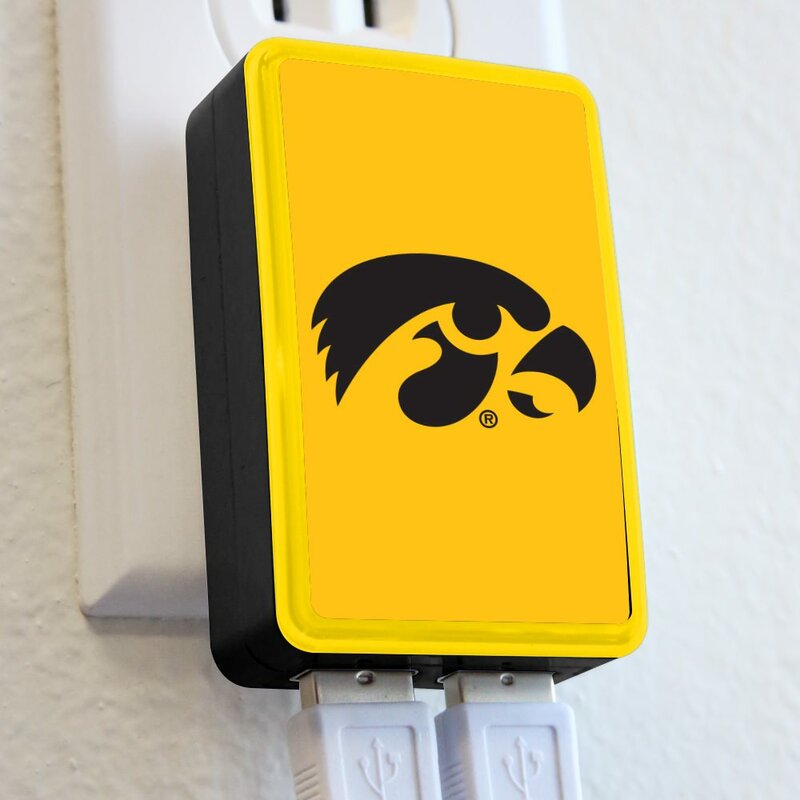 The wall charger has two USB ports, light up LED ring, foldable prongs, and is compatible with most smartphones, tablets, cameras, video games, and more. Output is 5V and 2.4A and is FCC certified and UL listed! 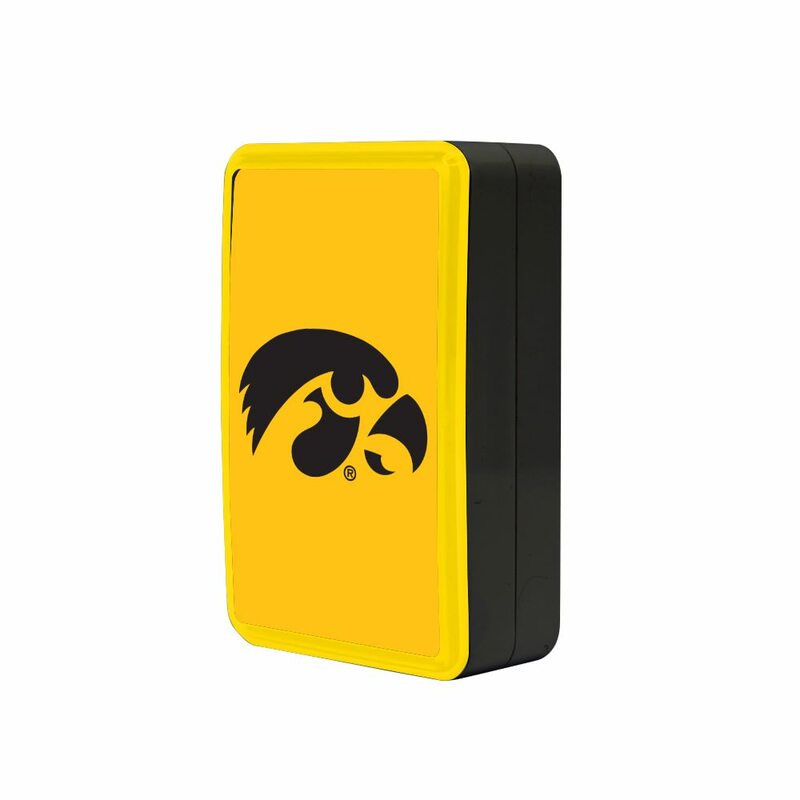 And for while you’re on the go, the mobile charger offers a mobile 2200mAh battery perfect for bringing your Smartphone battery up to 100%. 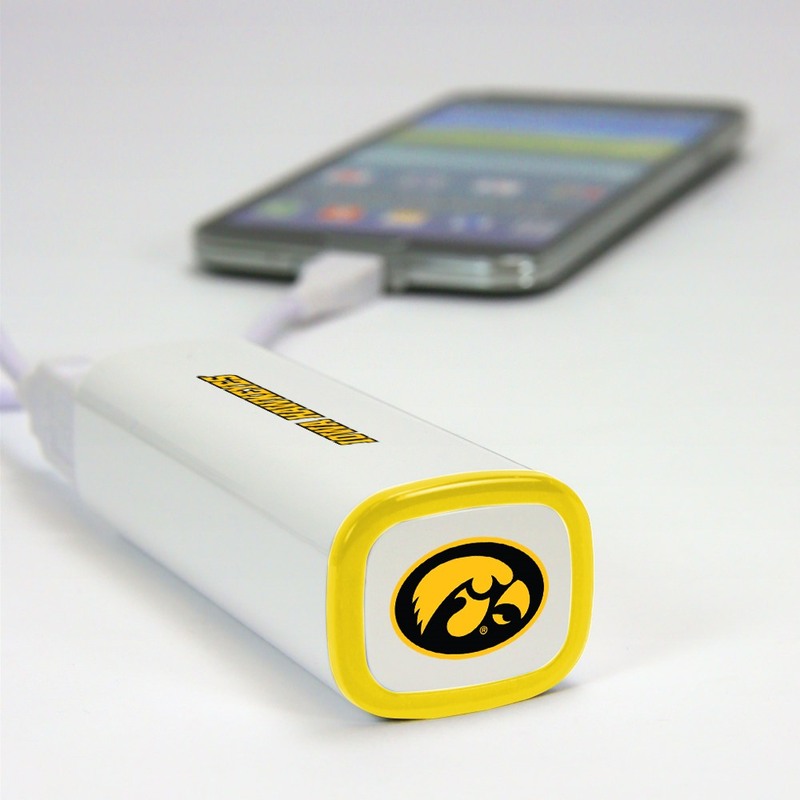 It also includes a light up LED ring and is compatible with most mobile devices!